Robomatter Incorporated is a technology and engineering curriculum solutions provider focused on bringing STEM experiences to students by leveraging the motivational effects of computer science and robotics. Robomatter’s solutions include research-backed curricula, interactive technology tools, STEM teacher professional development programs, and certification programs through a partnership with Carnegie Mellon’s Robotics Academy. VEX competition team requirement: The school or other organization submitting the website must have at least one team entered in the 2015-2016 VEX IQ Challenge (middle school only), VEX Robotics Competition or VEX U Competition. There may only be one website entry per school/organization/club. A website for a single team from a multi-team program will not meet the requirements of this challenge; it must be a website that includes all the teams from the school or club. The website must have been designed and programmed by students in your VRC or VEX U program. Websites must work on Internet Explorer, Chrome, Firefox and Safari browsers. Judges will select at least ten finalists from the submitted entries, and will take community voting results into account in making their choices. 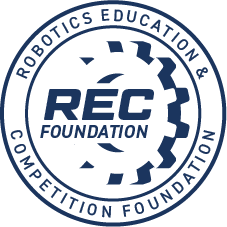 The finalist submissions will then be judged by additional selected professionals whose scores will be combined with the preliminary-round judges’ scores to determine the winner of the EMC Robotics Team/Club Website Challenge. Is the website attractive and easy to navigate and does it have a unified design? Does the website have a clear, easy-to-use layout, good structure, and consistent use of colors, menus, and imagery?